Sovereignty opens with a high definition video. The artist, Gunai man Steaphan Paton, stands in a field in camouflage gear, shooting arrows from a high-tech bow into a distant shield. The film, called Cloaked Combat #2, was shot in East Gippsland, where the Gunai people were dispossessed following brutal colonial incursion and massacres. Is the artist restaging a historical conflict? Or is he still fighting the battle? 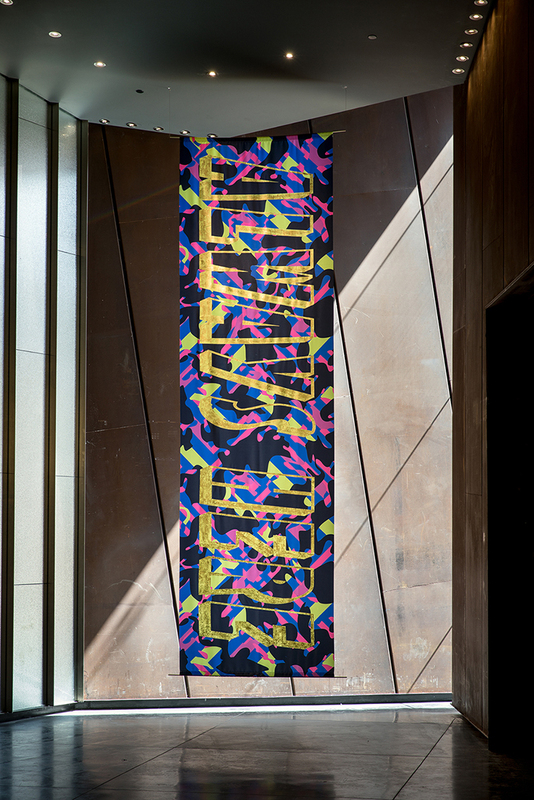 Presented by the Australian Centre for Contemporary Art (ACCA), Sovereignty is a survey of contemporary art by First Nations people from southeast Australia exploring Aboriginal identity, self-determination and resistance. 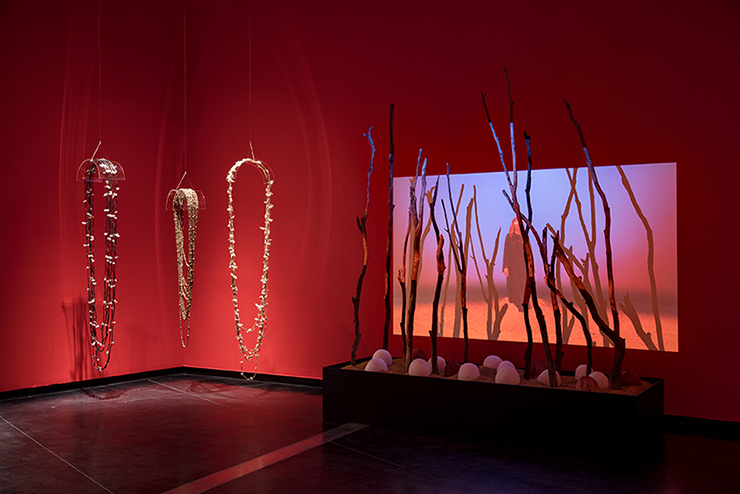 It brings together new commissions, recent and historical works by over thirty artists, each of whom has a unique perspective on Indigenous culture and politics. The exhibition uses the work of Wurundjeri leader William Barak as a cornerstone, presenting his Club and Shield (1897) as artefacts of a time when Barak strove to preserve and honour traditional customs in the face of a consuming colonial force. Referendum leader Bill Onus is also represented, with excepts from his home movies (circa 1964) showing the intersection of his personal and political worlds. The films are shown alongside the film Black Fire (1972) by Bill's nephew, Bruce McGuinness, as well as photographs from the collection of Indigenous activist and broadcaster Lisa Bellear. 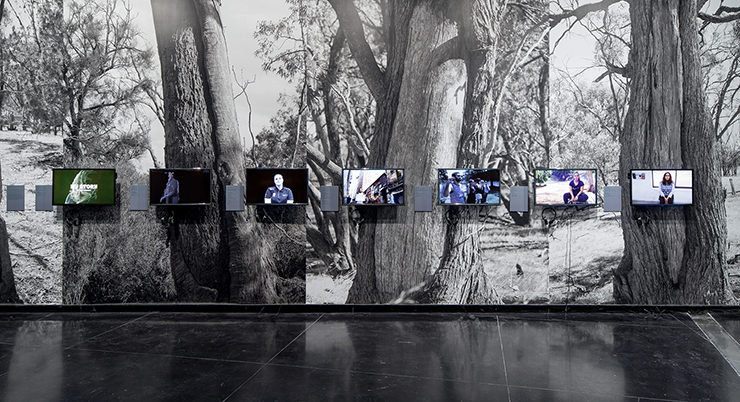 These historical works are presented as part of a continuum of Aboriginal resistance that includes contemporary artists such as Brooke Andrew and Reko Rennie, and musician and artist Briggs, whose work ranges from the reflective to the confrontational. 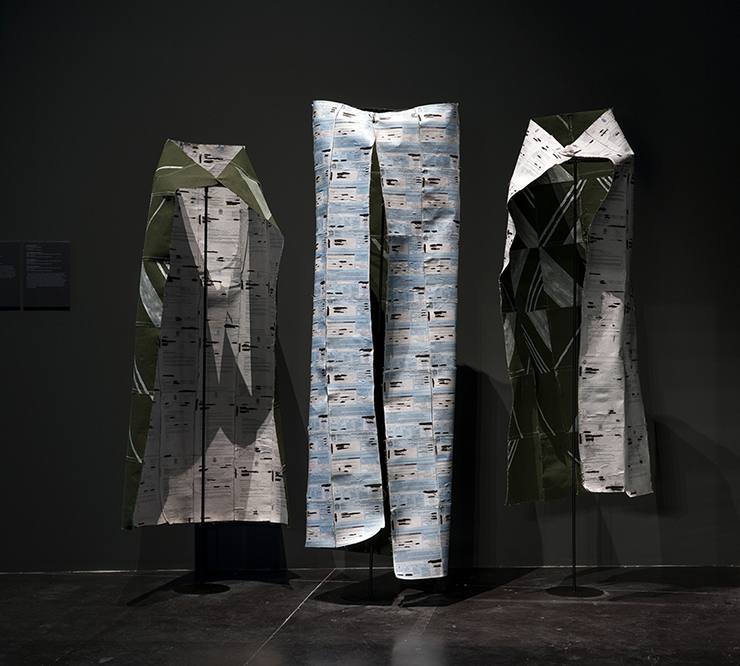 Sovereignty also reaches out into community and craft, including works like Glenda Nicholls' award-winning triptych of woven net cloaks, A woman's right of passage (2015) and two raffia eel traps by Bronwyn Razem. 'What's really rich and rewarding about the exhibition is the way that art and society, community and family, history and contemporary cultural politics are inevitably entwined,' Delaney adds. He is particularly proud of the inclusion of films made at The Korin Gamadji Institute, Richmond Football Club's centre for Indigenous identity.The young adult filmmakers come from a great diversity of contexts. 'Many of them are strongly connected to their cultural heritage and country, and there are others who are only recently engaging with their cultural heritage,' he says.